Each one of these tea bowls are handmade Jing De Zhen pottery. They will all vary slightly in size and painting, but will each hold about 200 ml of tea. These bowls are made in the classical shape, crafted to resemble Chinese sun hats. This is a great cup to use with your gaiwan, or you can use it to make matcha. Whisk your matcha in the bowl, and sip directly from the wide opening. The cups are smooth to the touch, and are made of good quality porcelain. Each one is stamped on the bottom to certify it was made in Jing De Zhen. About 1,000 years ago, tea culture became very popular in China. Most people still drank their tea from bowls. During the Han Dynasty (25-200 AD) Jing De Zhen, located in northeast Jiangxi Province next to yellow mountain, began producing porcelain. In this time, the porcelain was very thick and not good quality. During the Song Dynasty, the quality became much better because the emperor chose Jing De Zhen as a tribute porcelain. 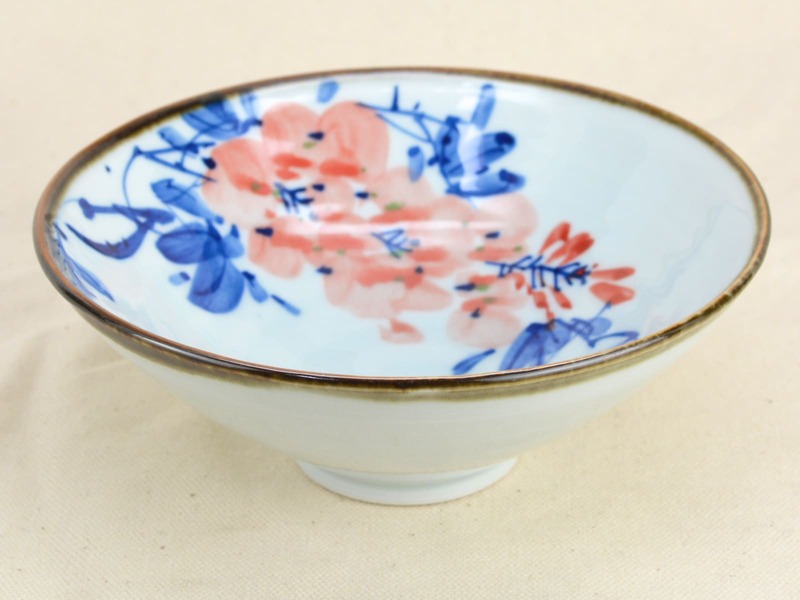 Jing De Zhen porcelain is famous for delicate hand painting, all the masters are very skilled and well trained. They use special clay to produce pieces that are white as jade, playing with natural glaze to create a shiny mirror effect on the paper thin walls. In addition to tea ware, Jing De Zhen produces all types of porcelain products. Each cup is stamped on the bottom to certify it was made in Jing De Zhen.